1. What are Long-tail Keywords? Long-tail keywords are keyword phrases that contain four or more words. “Best fps games for ios” is an example of a long-tail keyword. You will see later on the value of optimizing your site using this type of keywords. Without giving much away, their biggest advantage is their more specific nature compared to other keyword types. Short-tail keywords have less than three words in their search phrase. “Best fps games” counts as a short-tail keyword. Unlike long-tail keywords, this type is much broader. It also has a higher search volume than its counterpart in general. However, don’t write off long-tail just yet! If users search for this phrase, they will get pages about the best FPS games from all gaming systems. This makes optimizing your content for short-tail keywords very difficult. You’ll have to go up against pages that discuss the best FPS games for PS4, XBox, Nintendo Switch, Android, and more. This reason is what makes long-tail keywords more valuable! Instead of optimizing for the best FPS games in general, “best fps games for ios” lets you focus your energies on a specific gaming platform. Therefore, you don’t have to compete with other pages covering different systems. All you need to worry about are pages talking about the games exclusive to iOs. Therefore, ranking on top of organic search for long-tail keywords is much easier due to lower competition. According to Advanced Web Ranking, the first three positions on organic search generate 29.48%, 14.69%, and 10.15% click-through rates on desktop, respectively. So imagine if you rank on top of organic search, you can generate almost 30% of clicks to your site! Therefore, long-tail keywords are the better option. There are other reasons why you should optimize for long-tail keywords. As if the explanation above shouldn’t be reason enough. Did you also know that long-tail keywords are behind 70% of all web searches? So, if you don’t want to miss out on the massive group of web searches, you know what to do. WPBeginner researched for the best long-tail keywords to optimize their site. After two months, their site increased its organic traffic by 20%. Its secret, of course, is the use of long-tail keywords. With HitTail on its side, it bathed in success! You can also take it from KISSmetrics. It received 142,149 visitors because of long-tail keywords! But, the benefits of long-tail keywords do not end there. For an artist to sketch a picture of what you have in mind, you give him a description. And as you talk to him, you get down to the details and use the most specific words. The better you are at describing, the better the results get. That’s how long-tail keywords work, too. They come with more relevant keywords, and therefore, are more descriptive. If you want to target specific people, it should come easy. What you need to do is optimize your site for those specific long-tail keywords. Now, if your keywords are “new bloggers”, do you think you can reach the people you’re after? People who search the web using long-tail keywords are in the brink of making a final decision. Let’s say you are in the business of selling water bottles. You need to optimize for keywords with a transactional search intent. Ultimately, your goal is to sell water bottles. In leveraging organic search, you can drive highly-targeted visitors with the intention of buying your site. And it all boils down to your choice of keywords. Because of this reason, optimizing for the keyword “water bottle” won’t suffice. From here, you can tell that the user doesn’t know what he wants to buy yet. He may still be looking for the right size, color, kind, and brand of water. There’s even a possibility he doesn’t want to buy a water bottle at all! For all you know, he’s just bored and googled for a random item. Meanwhile, the second searcher used the words “5L blue reusable Outland water bottle for sale”. From this search phrase, you can tell he already knows what he wants. And by the looks of it, he’s looking for a store where he can buy the product! So, if your site is optimized for said key phrase, you got yourself a customer! As mentioned, long-tail keywords are less competitive because they are more specific. For instance, you own a restaurant in San Francisco. It’s a new one and you want to it to make a name for itself online. The problem is you have competitors. You’re up against famous and big names such as Cala and Tartine Manufactory. You can compete against them, of course. But, the odds of you winning is small. The restaurant industry is highly competitive. And you’re in the best food city: San Francisco! So, you have to accept the fact: you can’t beat the competition. You’re going on a match with names who have thousands – if not millions at their disposal. The solution is to optimize your site using long-tail keywords! For example, forget about “San Francisco restaurant”. You can rank for “new San Francisco [seafood] restaurant” instead. When you use long-tail keywords, you are already using short-tail keywords. For instance, my short-tail keyword is “cute puppies”. And my long-tail keyword is “Bichon Frise cute puppies for sale”. Notice how the keyword “cute puppies” is still in there? You can search for long-tail keyword suggestions from a short-tail keyword related to your niche. For this example, we’ll be using the tried-and-true free keyword tool for ages: Google’s Keyword Planner. Step 1: Go to Google Keyword Planner. Choose Find new keywords. Step 2: Use your seed keyword. Example is “freelancing”. So, type it in and click GET STARTED. Step 3: On the results page, choose a relevant keyword idea. In this example, I will choose freelance projects. Step 4: Search for that keyword idea to expand on it. Step 5: Now, you have long-tail keyword variations! While Google Keyword Planner is sufficient enough to help you come up with different ideas, it’s not the best out there. It doesn’t compute for keyword difficulty or competitiveness. To help you conduct your keyword research effectively, it’s time to use premium tools that possess the features above and then some! If you want “all the essential keyword research tools one could ever ask for in one place”, turn to this. For starters, its Keyword Magic Tool is, for a lack of a better word, magical! A seed keyword is all you need. And you can already build a keyword empire based on it! On the left sidebar, you can filter the results to contain the words in the list. This is useful if you want to narrow down your search and group long-tail keywords together. On the right, you will see the keyword data of each result. The most important to look at are the Volume and KD (Keyword Difficulty) column. Ideally, you want to choose keywords with relatively high search volume and low competition. Both columns make choosing which long-tail keywords to target much easier. Another great thing about SEMrush is its Content Template feature. It helps bloggers optimize their content by analyzing their competitors’ content! Another feature to look into SEO Content Template is the text length. It provides the recommended number of words based on the average word count of the top ten results for the keyword. Seriously, I could go on and on with SEMRush. It’s really that great of an SEO tool. However, we’ll have to stop here for now and introduce other tools. It wouldn’t be fair to equally great tools. However, you can get your hands on an article I’m working on discusses how to use SEMrush for keyword research. Stay tuned for that! Use SEMRush PRO or GURU Free For 14 Days. Economy of $99 and $199 respectively. Special Offer Exclusively reserved for readers of my blog. Get 14 days of free trial with a PRO or GURU SEMRush account! Click on the link below to take advantage of this free offer. Its Keywords Explorer tool can lead you to a gold mine of long-tail keywords! Step 2: You will land on a page with keyword ideas and an overview of your keyword. Focus on the left and choose a report. Here, I went with All. Step 3: You will get thousands (or more) of keyword ideas. You can use the filtering system to narrow them down to only include long-tail keywords. In this example, my seed keyword “blogging” got 50,025 hits. Then, I used the word count feature to include results with 3 to 6 words. So, from 50,025 keywords, it came down to 37,364! It also features a Content Explorer tool. It lets you dip your toe into a pool of the best and most shared content. All you need to do is enter your keyword in Content Explorer. Here, I’ll go with “how to start a blog”. You will then land on a page with the top content revolving around that keyword. For my chosen keyword, there are 28,424 results! If you’re after the global search volume of long-tail keywords, this is the tool! It means that with Keyword Revealer, you can get the data on the amount of searches all over the world! This is useful for bloggers who want to target a wider audience. Step 1: Launch Keyword Revealer. Then, enter your keyword and hit Search. Step 2: Set the Search Location to All Locations. This is what I went with because I’m after the global search volume of my keyword. If you want to set it to a specific location, go ahead. Step 3: Once you get to the list of results, use the filter to only include a certain number of words in them. Here, I will go with a minimum of 4 words and a maximum of 6. Step 4: Choose your long-tail keyword from the list! Keyword Ideas are not the only results you will see. There’s also the number of monthly searches, Cost Per Click, Profit, and more! It’s a visual keyword research and content ideas tool. It will help you find potential questions that you can use to optimize your content with. Its approach is rather different from the tools mentioned above. And this unique angle that AnswerThePublic shoots for is the reason why it’s such a hit. Sure, it’s not the most advanced keyword research tool. But, no doubt, it’s clever. According to the rules of SEO, keywords are best inserted naturally, right? Well, is there any “more natural” than using questions that actual people are asking? So, if you want to start finding questions using this tool, let me help. I will show you a step-by-step process. Then, type in your keyword on the search bar and click Get Questions. In this example, I’ll go with “blog” as the keyword. Step 2: Choose a question from the list of results. As a keyword research tool, AnswerThePublic helps you unearth possible questions to optimize for your blog. However, it doesn’t provide SEO data like search volume and keyword difficulty. Therefore, you have to depend on any of the tools above to get these data. Once you picked the question, you need to verify it with the keyword tool of your choice. If you’re wondering whether this is necessary, the answer is “YES”. This approach is how you can understand your keyword-based question, SEO-wise. Like I said, AnswerThePublic is not an advanced tool. That is why another tool should come into the scene. You can use any tool you want. But, I’ll go with SEMrush. SEMrush makes for more effective keyword research. It goes deep into keyword analysis. And it also identifies new keyword opportunities. Step 3: Enter a keyword into the Keyword Magic Tool. Again, my keyword is “blog”. Step 4: On the results page, click the Questions tab. There, you can verify if your chosen question is one of the top question-based keywords. Now, back to the example. According to SEMrush, the question “what is a blog” fits the description! You can also view relevant data for that question. This includes Volume, Keyword Difficulty, Cost Per Click, and Competition. Again, it’s off to the questions that people are asking. And Quora is one of the most popular Q&A sites. What you do is search for questions about your seed keyword. I’ll show you with this step-by-step process. Step 1: Enter your keyword in the search bar. In this example, my keyword is “newbie blogger”. Step 2: From the results, choose some questions that you can expand on with a keyword research tool later. Now, I’ll expand on it. Step 3: I copy that exact question from Quora to another tool. Again, I’ll go with SEMrush. A brilliant thing about it is its filtering system. You can use it to find long-tail keyword combinations with the matches that you want. You can choose whether you want broad, phrase, exact, or other related matches. And if you want to analyze your keyword more thoroughly, SEMrush also has your back. On the same page, a bit to the upper right, you can choose to Go to Keyword Analyzer. The Keyword Analyzer is some sort of keyword repository. It not only offers the benefits of deep keyword analysis to you. This feature also lets you integrate with other tools. If you’re looking for more ideas for your long-tail keyword, use this tool. Neil Patel recently purchased it. Ubersuggest provides lots of keyword ideas and suggestions using Google search. Beyond that, it also gives you other important data about your keyword. This includes search volume, Cost Per Click, and Google SERP results! Just enter your keyword in the search bar. In this example, I’ll use “what is a blog”. And voila! You’ll get results. Keyword research should be vital to your content and marketing strategies. They shape the articles you write and content you create. They also empower your marketing efforts! And that is why you need to track and organize your list of keywords. If you’re using any of the suggested tools above, there’s an option to export the data and save it for future reference. From there, you can organize the data to help you group common keywords and identify low-hanging fruit keywords. But what if you’re using multiple tools? Exporting and organizing all the sheets on a single sound like a nightmare! For the keyword difficulty, you can break them down according to tool. Not all will provide you the same score for each. But instead of creating this template from scratch, you can download the sheet here! All you need to do is paste the data there and compare the results from the different tools you’re using. Once you’re done gathering the keywords to optimize for your blog, it’s now time to let them work their magic. You have the long-tail keywords that can help you draft your content. This is important: make sure not to optimize for only one long-tail keyword. It’s an old method you can’t get much from. Nowadays, it’s best practice to let loose. And it’s by optimizing for as many long-tail keywords as you can in one post! The surefire approach is to focus on your topic and not on your keyword. Sure, he was targeting a particular keyword. But, he knew better than lose sight of the topic. Search traffic increased by 348%. And he made it happen in just seven days! So, do the same. This way, you can optimize your content for multiple long-tail keywords. To do this, you need to implement topic clusters. These are content pieces in a group. And they all relate to a central topic. Topic clusters are good for SEO. They let you take matters with a proactive approach. Know how Google needs to understand your relationship to a topic? By using topic clusters, you are giving it what it needs! There are benefits for you, too. You can showcase your expertise with this approach. And you get to reach more people while at it! It’s an incredible time-saver, too! You research once and you can already get going. So how do we pull out topic clustering using long-tail keywords? Don’t optimize your content with just one long-tail keyword. Considering that this keyword type have a low search volume, it’s best to optimize as many keywords as possible. This way, you’re optimizing your blog post for different long-tail keywords at once. This also means you have to identify keywords related to each other. Manually parsing through your list will eat lots of your time. So instead, use SERanking’s Keyword Grouper feature. Once you’ve signed up for an account, click on Tools > Keyword Grouper. Upload your list and the tool will jump straight to grouping your keywords. As you can see, the tool groups together similar keywords. Using this information, you can create a guide about “how to start a blog” as your main keyword. Then include the other related keywords in the post to optimize your content and help generate more organic traffic. Focus on every part of a blog post. From your title, meta description, and subheadings to your content and images. And sprinkle a few long-tail keywords into them all! This technique will boost your ranking and traffic. I will break this down for you. Step 1: Choose a well-researched long-tail keyword. Step 2: Study the most popular and viral titles. What are the types of headlines that most people seem to like and share with others? Your job is to observe and notice the number of shares for a particular post. Facebook, Pinterest, and Twitter are some places to do this. You can also use Buzzsumo for this. Head over to its website. Then enter your keyword on the search bar and hit go. Step 3: Use these titles as the basis for your own title. Find out what is common in them. In this case, they both talk about how to make money. And they also feature the year. Step 4: Create your title! You can use almost the same process above for this. You shouldn’t go overboard with meta descriptions. Their function is to serve as an advertising copy. Besides, if you go beyond 160 characters, Google tends to truncate them. So, you need to be wise in choosing the words you will include. And be short and sweet, and clear and concise. My keyword is still “how to start a blog”. And I went with the title “5 Smart Ways on How to Start a Blog and Make Money in 2019”. It’s no secret that content is king. In fact, people share a whopping 27 million pieces of them every day! So, if you want your blog post to rule, you need to be an expert when it comes to content creation. And incorporating your chosen long-tail keywords! And if you want to fuel up your game in this area, go for long-form content. The logic behind it is like the logic behind the effectiveness of long-tail keywords. Like long-tail keywords, long-form content is also more descriptive. And a person who’s serious about a keyword will want that. It contains in-depth information, that’s why! Backlinko can support me on this. It found out that the more words a blog post contain, the better. And of course, it means that its chances of ranking is higher! In the same study, it also discovered that the average top results are posts that contain 1,890 words. So, make your content long and informative as you add your long-tail keywords. Remember, though, avoid keyword stuffing. You can also refer to these “tags” as alternative texts, alt attributes, or alt descriptions. They are important because they make for an accessible web design. Let’s say your visitors are unable to identify your blog’s visuals. Well, with alt tags, they can still appreciate its content. By reading what these alt tags say! They are the solution to browsers and screen readers that block images. Not only that, they also add points to image SEO. Sure, search engines can “see” images well due to technological advancements. But, you can’t say the same for search crawlers. And if search crawlers can’t see your site, it’s not your problem – not theirs. It’s possible that this can be the cause of a missed opportunity for ranking. So, edit your images before letting them go live. And add your long-tail keyword. You can do this manually. It’s so easy to do! Just click on a picture to edit it. Either, you will land on a window where you can edit the Alt text. But, if you have a hundred images, the manual way is time-consuming. It means you have to go through them one at a time. So, to come to your rescue is a plugin like Media Library Alt Fields. This tool is an open source software. It lets you edit image alt text in batches! Inserting long-tail keywords into them is one thing. Writing them using intent-based keywords is the other important one. This means you should craft your subheadings by targeting the right intent. You see, most people scan a blog post before reading an entire article. It’s only practical. It’s an easy way to avoid wasting time on an article that does not contain what they need. And apart from the title, what do you think is the first thing they see? Of course, it’s because subheadings tend to be bolder and bigger than the normal texts. Let me show you an example. It’s from The Ultimate Keyword Research Checklist at the SEMrush blog. You can spot a subheading more easily, right? So, the idea here is to write subheadings that appeal to your target audience. The simple way of doing this is to make sure they are relevant to your topic. Your subheadings, then, should highlight those “5 Smart Ways”. If not, they should, at least, have something to do with how to start a blog. Another way is to incorporate LSI keyword phrases. These keywords, short for Latent Semantic Indexing, are “the other words”. They are somehow the synonyms of your original keywords. For instance, you are targeting the keyword phrase, “make money with your blog”. Can you generate income with your blog? How will your blog make money for you? Who are the famous people who made money with their blog? So, that’s what long-tail keywords are. And that’s how you can make the most out of them! If you’re new to this whole blogging industry, these keywords will help you start on the right foot. In particular, they can help you familiarize yourself with how things work. And that they do work, if you put it in the effort! With lots of established bloggers out there, you can’t expect to outrank them at your level. What you can expect, though, is to find the information you need to help you. Once it’s in your hands, you’re free to learn the craft! So, be willing to learn. And don’t be afraid to approach matters rather differently. These long-tail keywords and there are plenty of data to back it up! Hello Ankit, Thanks for your this complete guideline. Really good indeed i have even read on this topic. I was using this methods as well Google Suggest Keywords for Youtube Video Ranking 😀 But i never try the same for my Blog. But after reading your this one i would have to try. And I am sure that i can do a better results then now. Nice article bro. It helped me a lot to know more about long tail keywords. I will do all the above mentioned methods to find the perfect keyword. Lets see how it works. Thanks a lot for sharing excellent article, I applied all the above methods to find long tail keyword for my new blog post let’s see how does it works. Deepak Sahani from KTM Nepal. You have really done a lot of research! Well done! You can find a long tail low competitive keywords instantly by using the Google keyword planner by selecting- Keyword Filters >> Competition >> Low . Whenever you search for a new keyword and ad group ideas. What a presentation Ankit. Although I have read couple of articles on the similar topic, but the way you have presented this article is simply unique. Needless to say that you have missed some thing, but i have an point when we see at google trends what is the ideal period we should consider whether search on that specify term is rising because when we search at 12 months it shows different result but most of the times the niche I choose may be very new so how to go about it. Also thank you for this fantastic article, its always learning with your articles. It’s a good question. As per my understanding, I check last 3 months data. Also, it depends on your keywords. 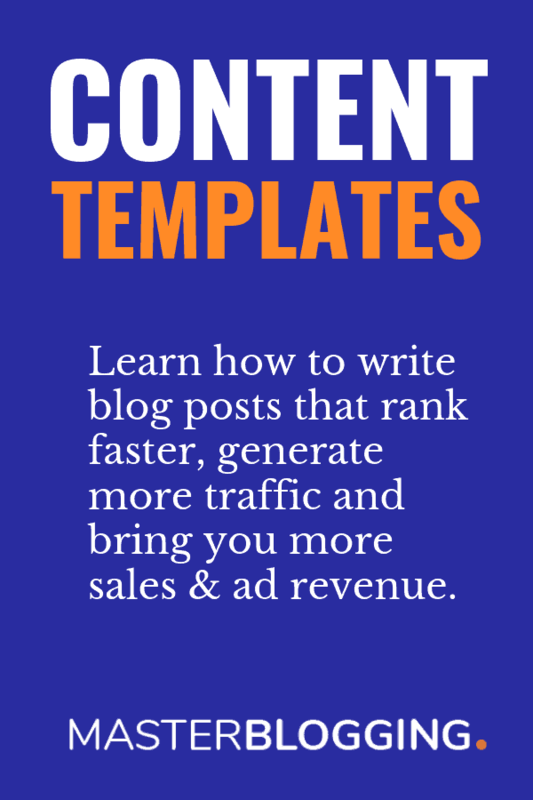 This post is quite helping bloggers bu my question is that, I am using Google Keyword planner a free tool then would it work like the the pro tools. Hey there, I just went through your article. Though I’m not so good in keyword planning, I think google keyword planner is enough for me. I also liked the other ways you included, I think I’m gonna try them out too. Thanks for your article. I wrote an article of about 2000 words with about 6% keyword density and thought it would rank in search engines but the result is not as i thought.It doesn’t come up on search engines even when i write full post title. Did i used keyword density much than it should be? When u r talking about keyword density, I presume that you are dwelling on Focus Keyword. Your Focus Keyword is the keyword for which you want your blog post to rank for. The ideal keyword density should not be more than 1.5% to 2% of the total word count. More so, if you are using a long tail keyword as a focus keyword. Also, don’t forget to use keyword substitution by using similar terms. You can get them from Latent Semantics Generator. Actually I do use long tail pro keyword research software to find long tail keywords. One thing I liked here is you shared the importance of LSI keywords, mostly what I’ve seen is bloggers only talk about long tail keywords but LSI is most important. You wrote a great article. It has solved so many queries regarding keyword search. Thanks for posting such kind of post. I request you to please write a detailed article on competitor analysis with a practical video guide………..Moreover, I have an question in my mind. Should We do Seo after just having one post on blog or should wait for having 10 to 15 posts???? You can read a detailed article about competitors keyword research on my blog on Monday. It’s almost ready. You should do SEO from the very first day after starting your blog. ON page SEO is very important for all the articles but make sure don’t start doing massive OFF page SEO (like link building) in the earlier days. Let your blog grow, post some articles and then you can start doing OFF page SEO too. If you can get natural backlinks, then don’t wait even for a single day. Start getting links. They will help you a lot. Do, let me know if I can help you further. You really shared some amazing and proven way to find a long tail keyword and LSI keywords. These things are very common, but using it in a right way will give us countless profit. Glad you liked the content, Rabin. Yes, these techniques are very common but work like a charm. Do let me know if you know any other technique. I’ll include that in the article. Bro its one of the best articles on keyword research. I mean have never seen such a deep article article on keyword research. I also came across some new information regarding keyword research. Its like more deep the article goes most information can be extracted from it. I agree that using long tail keywords doesn’t ensures that you are going to rank for this keyword . This is the biggest misconception in the minds of some bloggers. The keywords that are suggested by google search are most of the time high competition keywords are difficult to rank while many a times i have seen that google suggests keywords which have monthly searches of less than 100 and are easy to rank . So it is very important for bloggers to judge each and every keyword correctly before using it in their posts. If you are focusing for a long tail keyword with low searches then it wont be helpful . Other thing , Reditt and wikihow are gold mines for finding long tail keywords . At reditt , you can see what people through out the world are discussing . By looking at the threads there you can easily find amazing keywords that have low competition but high search volume . Same is with wikihow. The titles of their articles are optimised to rank higher . Thus one should always looked at the keywords that wikihow is using. Also , The suggestions made by the websites such as amazon.com etc are golden keywords . They suggest the keyword for which people are searching for to spend their hard earned cash . These keywords usually work well as per my experience . Keep producing such wonderful articles and keep increasing the knowledge of the bloggers in the blogosphere . You just explained everything very nicely and I appreciate your hard work. This post is very long covering all the aspects and all the required examples to explain the topic. I must say that this is the best post I have read today and maybe I will not find a post better than that. Really a nice article hopes that will help me to find best keywords for my site…….. There is no doubt that next big thing in SEO is LSI. People have already started using LSI generators to use them in their posts. Thank you for the great tutorial. Let me first admire you for your unfathomable knowledge on website ranking and best search engine knowledge. I have been following couples of bloggers since last few months vehemently. I stumbled upon your one of the blogs on LSI. Your blogs are worth enriching new entrants like me, who does not wish to follow any hogwash as I myself writing on technologies, startups. leaderships and self-improvement. 1-why longtail keywords centric strategy can not be adopted while writing content? As I believe that generic keywords can be used to create long tail keywords and what I know about long tail keywords that they are the combination of generic keywords. 2-Should longtail keywords be considered in the description or can be used anywhere? 3-Should it be used wisely based on keyword density? 5-is there any available best free tools for keywords apart from keyword planner? I know you might have answered some of them in your blog but being an avid learner in my 16th-year experiential journey of my career I keep yearning for learning from champ like you who have great knowledge and grip on the subject. Definitely a very helpful article for us to find long tail keyword for our blog. Really you made this post easy to understand. Using keyword research tool we can find many long tail keywords. And, google auto suggest can also help us to find long tail keywords. Anyway, thanks a lot for sharing this useful article. I have a question: How many monthly search volume you consider while selecting a long tail keyword? Really a valuable information for me..
Now I got some interesting and useful facts about long tail keywords. Long Tail Pro is the best for finding and targeting low competitive keywords, definitely it help webmasters and bloggers to drive more organic traffic. I’d like to ask you something, suppose my long tail keyword is very competitive and the top 10 position on Google almost all e-commerce stores. What I know is it would be hard to compete with them, what’s your opinion about this? It’s really a nice post. I loved the manner in which you had explained it. Long Tail is cream of SEO, you can get most converting traffic using such magical keywords. Thanks for sharing this guide. Keep sharing such articles. Targeting Long tail keywords can undoubtedly help anyone to rank higher in SERP because they usually have lower competition. And one more benefits of using them is your article start ranking for more phrases that you don’t target. Ankit you’ve shared a great detailed and in-depth article about Long Tail Kws. Thank you for your efforts to provide valuable and helpful stuff. It surely helps beginner and intermediate bloggers to learn new things about KWs. I have one question: Do you consider the number of search per month when placing any LSI/Long Tail Kws in your articles??? Really nice article! I thoroughly enjoyed it. Anyway, do you think that LSI research will change in future? When I am trying to find good keywords, I try to think of what people would search for in google if they were trying to find my specific post. That usually puts me in the right direction. Sir i checked this post ranking you used three keywords differently. i heard some one that it become cause of duplicate issue when we use long tail keyword. I really like Quora method because we can get knowledge of what exactly people are searching for and we can easily find the keyword. It’s a free and easy method to know about peoples curiosity. Thanks for your beautiful blog post. Long tail keywords are sure the best when you want to rank faster on SERP, this is because they are less competitive.